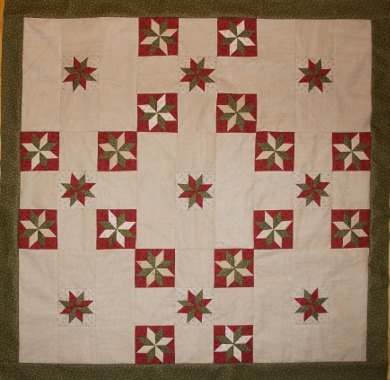 Description: The Star of Wonder quilt uses an updated technique for the LeMoyne Star. There are no set in seams. I recommend the Rapid Fire LeMoyne Star ruler by Deb Tucker, but there are directions in the pattern for using a traditional 6-1/2 ruler. The cute size of the star block makes this a fun project to construct.